There are many details that go into an upcoming move. Are you taking everything with you to the new place? Need recently purchased items moved into the new home? Do you have a vehicle able to fit the heaviest of items: mattresses, dressers, etc? When you assign the job to Git It Moved, we do all of the moving for you! No need to worry about whether you have enough people to carry your couch down the stairs. 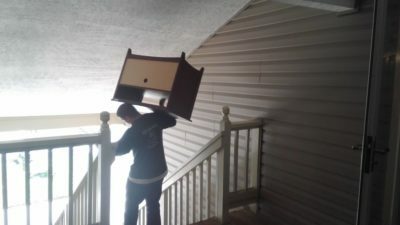 Our team has been handling moving jobs for years and knows how to navigate the trickiest of hallways and staircases. Contact us today for your move in Fairfax, VA!